Start with a well-designed check-in parking area, wonderful and friendly staff, paved roads, level sites with well-groomed grass between each, trees and concrete pad and picnic table, and immaculate grounds and buildings, then add the proximity to Yellowstone west entrance, and this park is worth the high $ per night. We would recommend to others and return again. We camped at Yellowstone Grizzly RV Park & Cabins in a Motorhome. Immaculate park. Most of the occupants are here for long term, probably working in the oil/gas field, but the park is well-maintained. Roads are all asphalt, sites have privacy fences between each, and each has an asphalt pad with a table on it. Fifty amp service was dependable, and Wi-Fi was great. They seem to have repeaters every 100' or so. The staff is friendly, the store well-stocked, and the laundry room clean. Particularly nice is the soccer field in the rear of the park with an asphalt running track around it. This is a first class operation and we'd stay here again. 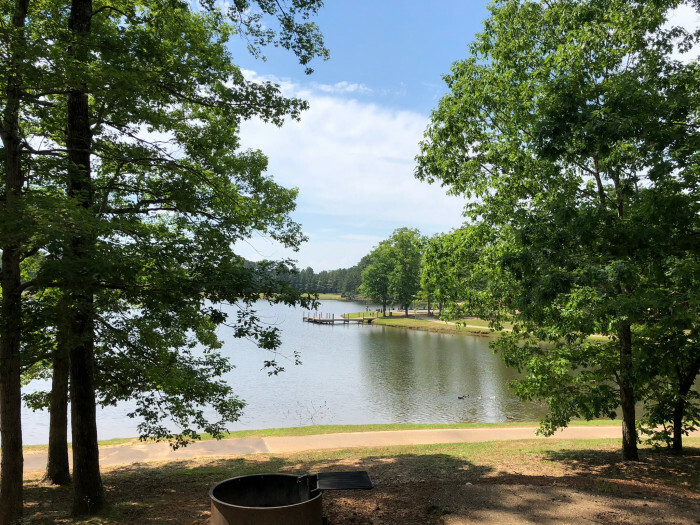 We camped at Happy Trails Campground and Cabins Inc. in a Motorhome. The park is well maintained and clean. The only sites with sewer are back-ins along the fence, but there is a sani-dump on the way out. Restrooms are clean and well kept. Some of the sites have grass, but the large pull-throughs are in a gravel parking area. There is a beautiful lake next to the park with walking paths. The only downside to the park is the traffic noise. Now that the oil/gas industry is prospering in the area, there is non-stop truck traffic on the Alcan, and the highway is within 300 yards of the park. The power, albeit only 30 amp, is consistent and dependable. The Wi-Fi service was excellent. We camped at Ross H Maclean Rotary RV Park in a Motorhome. This is the most pleasing campground we've stayed at. It is well off the highway, carved out of the forest, and many of the sites are parallel to or back up to a fantastic flowing creek. 50 amp service is available. We were able to get WiFi at our site, #1, which is a premium site near the office, along the river, and very long. Very few of the sites are parallel to each other, so the site locations give much privacy. The owners are friendly, engaging, and work very hard to ensure a memorable experience for all. If you want a true wilderness experience, this is the place to go, and we recommend staying more than a day. We camped at Tolsona Wilderness Campground in a Motorhome. The office staff was courteous, friendly, and helpful. The park is clean, clutter-free, and the sites appeared to be fairly level. We came through late in the season, so we were assigned to adjoining sites, which allowed us to park our rig (70' total) without any difficulty. The access roads were well spaced. There was plenty of room between sites where we were parked, and the park has many trees. We had strong WiFi at the site. We would stay here again. We camped at Tok RV Village in a Motorhome. The manager was friendly and helpful. She walked out with me to survey the sites to ensure I got one we could fit into - we're 70' long! We took a site with full hook-ups. The WiFi is available if you go up to the tables on the porch by the laundry room, which was clean. The restrooms and showers looked clean. There were about 45 units of varying length that stayed that night, and all seemed to find a suitable site for themselves. The sites are level laterally but the entire park is sloped for water runoff, so there can be some issue with leveling along the length of the coach. When we auto-leveled the coach actually raised the front tires off the ground, so I had to manually adjust. We would have rated the campground higher but for the young lady who opened the store/office the morning after we arrived. Around 9 a.m. our rig popped the circuit breaker, and they do not have circuit breakers on the pole at the site. The central circuit breaker panels all have locks on them. I walked into the store and asked the young lady if she could get someone to reset the circuit breaker. There was only one other customer in the office, but she rather curtly told me she'd have "someone" take care of it. 30 minutes later we were still without power. Rather than deal with the surly young woman I started the generator as we were parked away from other coaches. I ran the generator for two hours as we prepared breakfast, showered and got ready to depart. When we departed I walked back in to the office and the same young lady was still working; no other customers this time. I told her the power had never been restored and I thought the next guest would appreciate it if the circuit breaker could be reset. With not as much as an apology, she informed me she had told "someone" to go down and fix it. I guess that absolved her of any other responsibility. We camped at Kluane RV Kampground in a Motorhome. There are a number of long pull-throughs (we're 70' long) with dependable electrical service. The campground is located on a beautiful lake, and the Teslin River is a mile away. Most sites looked to be fairly level, with some trees/shrubs between some of the sites. You can get WiFi if you go inside the restaurant or if you sit at one of the tables outside of the restaurant. The laundry room was neat and clean, washer $2.50, dryer $.25 for a few minutes. They do give a fuel discount to overnighters, and there are some cabins for rent. They don't waste a lot of money on excess staff, so those working do many things, and do it well. Sometimes it takes a little time - but we should all slow down a little! We camped at Yukon Motel & Lakeshore Resort in a Motorhome. Our favorite place to stay on the Alcan - this was our 4th stop there going to and from Alaska. The owners are the two nicest folks you'll meet. They work incessantly to ensure your stay is pleasurable and memorable. As previously mentioned, the gentleman owner likes to take groups out on his World War II truck to see the White River and other natural attractions. They often have a large group campfire and invite guests to sit and chat. The electrical situation is manageable. The sites are level with a number of long pull-throughs. Water pressure is good, and they have sewage hook-ups at many sites. There is a beautiful 2000' grass airstrip and they don't mind if you allow your dogs to run free - within reason, of course. There are numerous collectible areas, including the old military vehicles, a group of very old outboard motors, a group of old washing machines (including several old wringer/washers), and a collection of old chain saws. There is no shortage of moose antlers around the campground. This is a place you should plan for and stay a couple of days at least. We camped at Discovery Yukon Lodgings in a Motorhome. As previously noted, this park is divided into two sections. The upper level was carved out of a pine/spruce tree area, and the sites are generally separated by trees. The pull-throughs are long (we're 70' long) and provide plenty of room between sites. The sites are generally level. The interior roads and sites are gravel. They have 50 amp service, which is quite rare along the Alcan Highway in Canada. The WiFi service is only available in the laundry room or at tables outside the office/laundry room. The laundry room is large, spotless, and has six fairly new sets of Maytag washers and dryers. There is a folding table and a soap/dryer sheet dispenser ($$). The manager is very gracious and helpful. When we arrived, we were experiencing 30 - 40 mph winds at the campground, but there wasn't a significant amount of dirt being blown around. The restrooms are incredibly clean. We've stayed here before and would recommend it to all. While this park is a little pricey, it is well worth it. As another reviewer noted, everything must be trucked or air-freighted in, which I believe justifies the cost. We camped at Baby Nugget RV Park in a Motorhome. Excellent service at check-in. Turns a little tight for BIG rig - we are in a 45' motorhome pulling 24' trailer. We were in a 30/50 amp super site which was long enough for our rig and wide enough for 30" slides on each side. Only problem is the location of the sewer outlets - way too far from center of site. Would strongly recommend the patio sites, which have two sewer outlets and are much better located, marvelously equipped, beautifully landscaped.. The grounds are immaculate; beautiful trees, lush grass. Dog walk area with dogibags is well kept. Our one negative - we were here for Memorial weekend and the park had many families. The staff apparently did not walk the park after dark or they would have noticed, and hopefully curtailed, the screaming and playing activities of many of the children long after the quiet hour had begun. Bright side, most families left on Memorial Day and it has been blissfully quiet. (Yes, we have grandchildren, but I assure you they wouldn't have been disrupting the park if here.) Extremely close to Glacier National Park. We would stay here again. We camped at West Glacier KOA in a Motorhome. In a beautiful canyon with stunning views. Sites are reasonably level laterally, but tend to have a slope fore and aft. 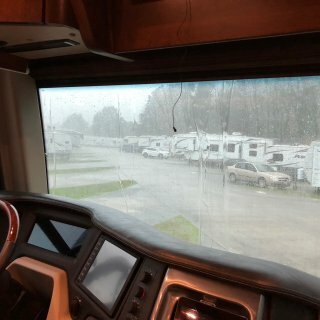 We couldn't get level in our 45' motorhome using hydraulics or air. The people manning the store/office are not the most sociable and don't make you feel very welcome. However, the tour to Monument Valley through Goulding's makes it worthwhile. NOTE: The shorter tours (we took the 2.5 hour tour) are in open air vehicles. The seats are reasonably comfortable. However, on the day we went the wind was really blowing and we got "sandblasted". It is possible to drive your own vehicle through Monument Valley, but the "road" is extremely rough. If your car has minimal ground clearance I wouldn't recommend it. Our neighbors did it in a 4x4 pick-up and wouldn't try it again. It is a place you won't want to miss, though. We did note a Goulding's tour on the road that was in an enclosed, air-conditioned vehicle, perhaps the "all day" tour. That is the only way we would recommend anyone taking the all-day tour! Cell phone reception good, and the WiFi was strong - we were parked right behind the office. We camped at Goulding's Lodge & Campground in a Motorhome. While this place is beautiful and well-maintained, we could not give it a stellar rating because of the parking issue. As the name implies, this is both a campground as well as a resort where individual sites may be purchased. When you make a reservation, you have no control over where you will be parked. When I called and made a reservation, I specifically noted I was in a 45' motorhome pulling a 24' trailer and NEEDED a pull-through. I was told that was no problem. When I arrived I was assigned one of the very few sites on the outer row in the resort section THAT WASN'T A PULL-THROUGH. The young lady who checked us in pointed out that it was, in fact, 100' long so I shouldn't have any problems. Problem is, It has some extra landscaping that made it difficult to get in, and almost impossible to back out. 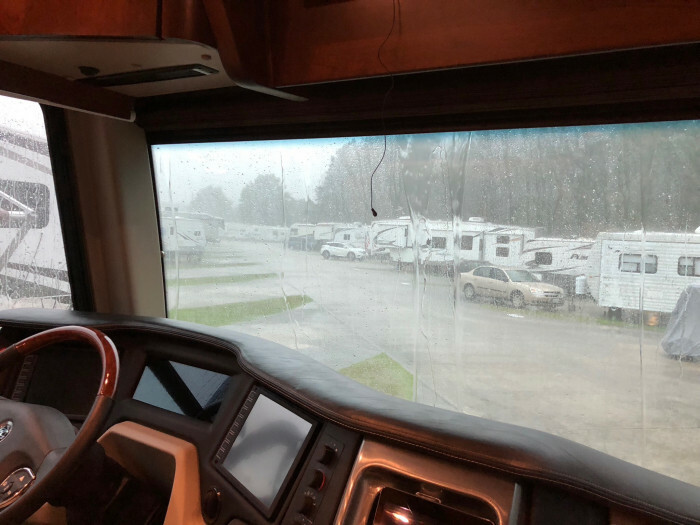 What she failed to mention, when I expressed real concern over our ability to navigate in and out, is that there is a large area where I could have parked the trailer and disconnected, making this a much more enjoyable stay. On the plus side, it is well-maintained and policed. Two enclosed dog runs make it great if you travel with pets. It is VERY PRICEY for what you get. Wi-Fi was marginal, cell phone coverage good. Moab is a great place to visit and the Arches National Park is a true marvel. We wouldn't stay here again because they didn't honor their commitment for a pull-through and we fretted for two days about the difficulty we might encounter getting out. 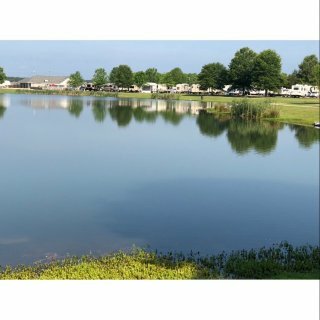 We camped at Portal RV Resort and Campground in a Motorhome. Owners are congenial and helpful. 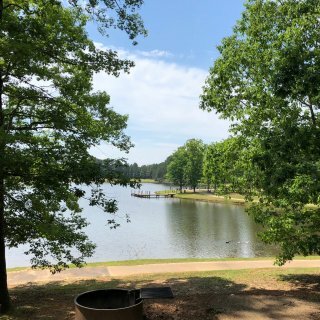 Beautiful campground with many activities (horseshoes, several playgrounds). Well kept, neat and clean. Lush grass between each site and in the various recreation areas. Entrance is a bit narrow (one-way traffic), but we managed with a 45' motorhome pulling a 24' trailer. Sites are fairly level. 30 amp service is a bit sketchy - we couldn't make coffee and have heat at the same time this morning, and it is 40 degrees outside! No cell service - at least not Verizon. Great WiFi. We camped at Big Mountain Campground in a Motorhome.